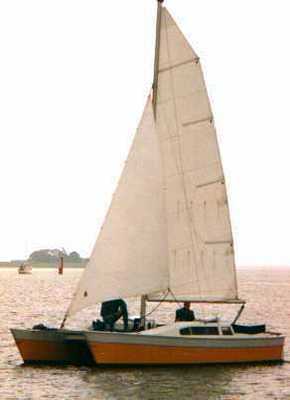 Welcome to this, the Woods Designs web site which we hope you will find is an interesting and useful introduction to our range of boat designs. 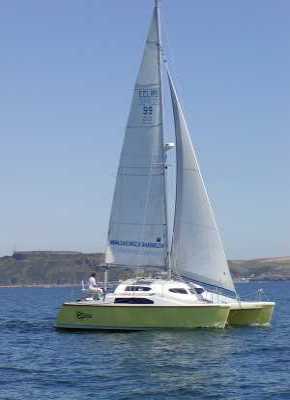 Based in the UK, Woods Designs is run by Richard Woods and specialises in the design of multihulls for both home and professional builders. 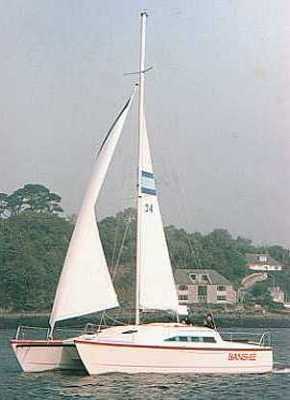 Founded in 1981 we now boast possibly the largest and most comprehensive range of catamaran designs in the world. 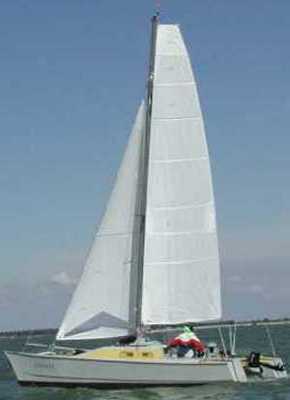 Click here for stock designs, which range in size from 8' to 45' and types include beach catamarans, open deck cruising catamarans, bridgedeck cabin cruisers, racing catamarans and trailable boats. 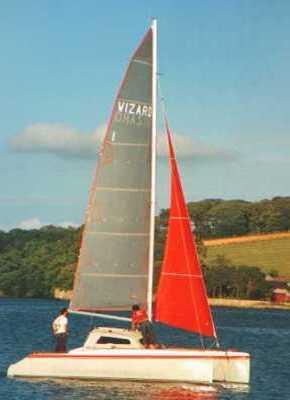 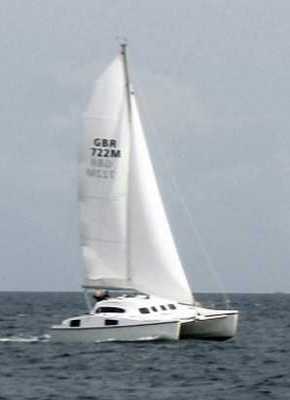 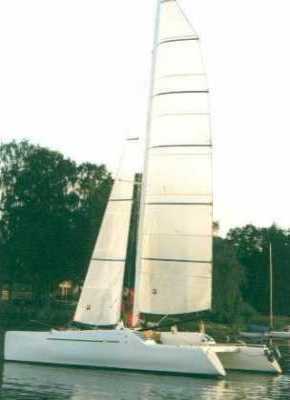 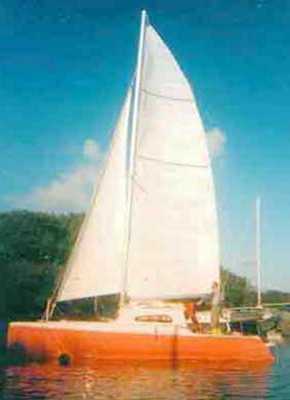 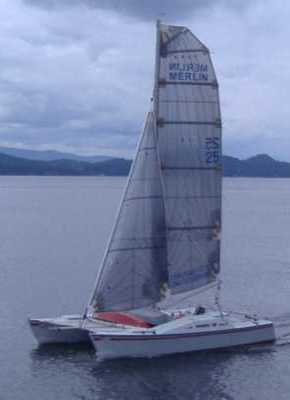 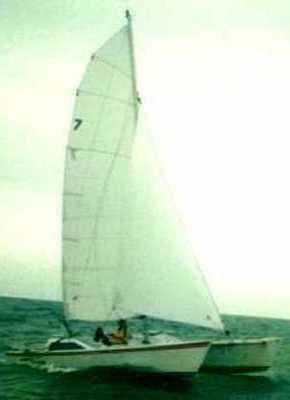 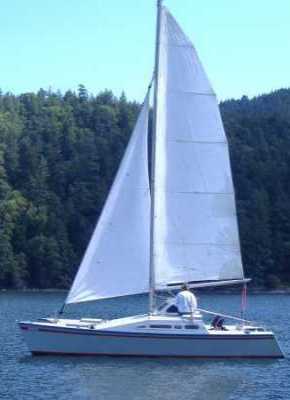 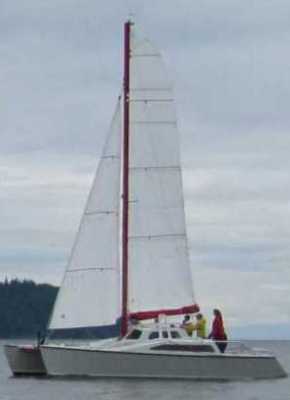 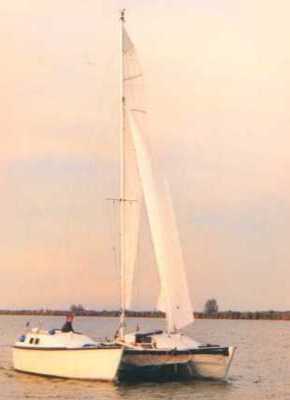 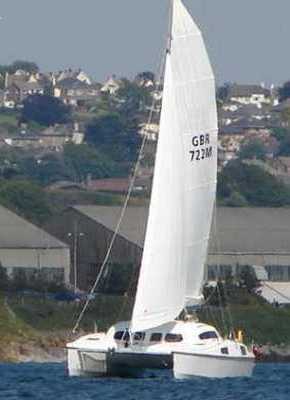 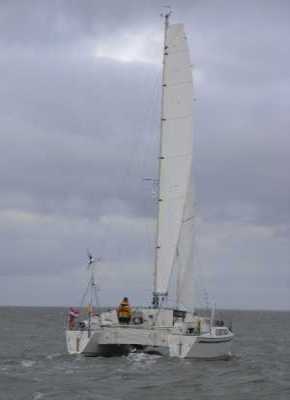 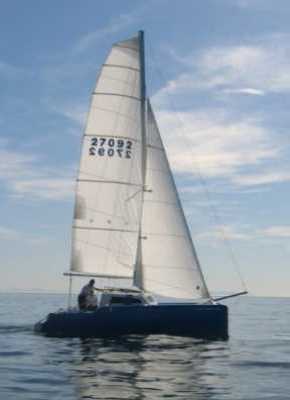 We also have six small trimaran designs, six power cats and a few dinghies. 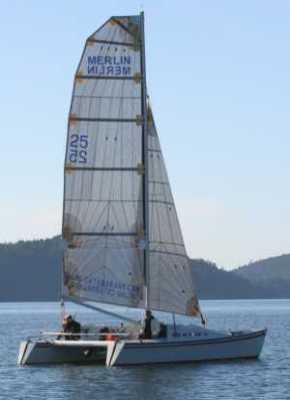 Click on the photo, right, or use the link in the heading menu, to see the complete list. 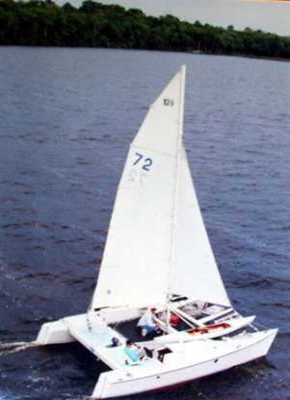 Boats can be built in a range of materials of which the most popular include sheet ply, cold moulded ply, strip plank cedar and foam sandwich. 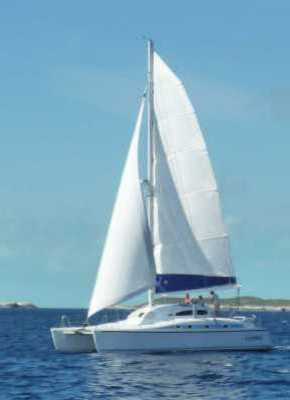 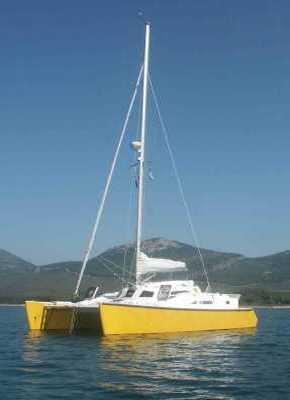 Like most designers we do not offer plans for catamarans built in steel or aluminium. 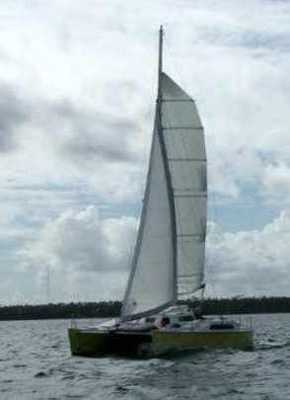 Nearly 3000 plans and over 200 production catamarans have now been sold. 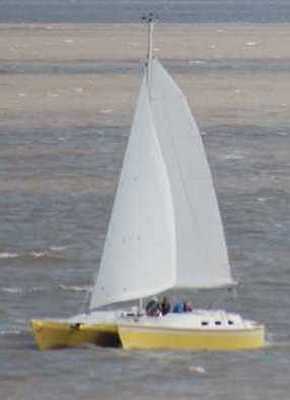 Boats are sailing all over the world. 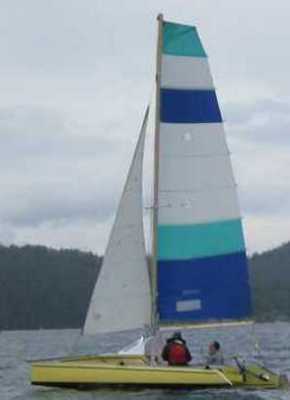 Cruisers have made many comfortable ocean crossings in complete safety while the number of trophies won is testament to the speed of the racing designs.